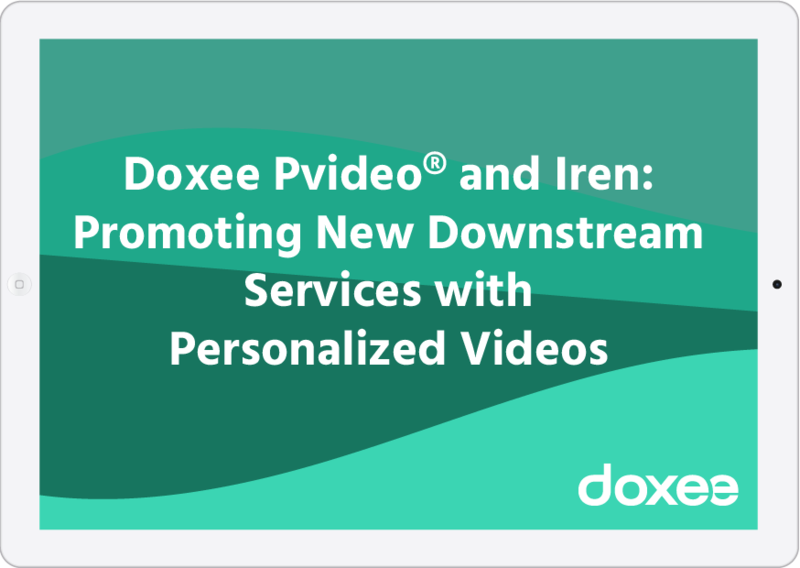 Iren turned to Doxee to promote a series of additional services called "New Downstream." These include the LED light kit, the intelligent thermostat that can be managed via smartphone, enabling users to turn on the heat before they arrive at home, for example. With Doxee Pvideo®, the customer feels important and is motivated to take action—to get in touch with Iren, or to fill out a short questionnaire—from directly within the video. Your customers are not numbers, they ’re people. Doxee iX, Doxee Pvideo® and Doxee Pweb® products can improve the customer's perception of your company and your products. Thanks to personalized and engaging videos by Doxee Pvideo® and Pweb's interactive micro-websites based on HTML5, we’ll help you explain and convey complex content in a clear and effective way. Doxee Pvideo® frees your creativity: with personalized videos, storytelling has no limits and can be adapted to any type of customer, thanks to personalized content. Integrated speech synthesis ensures personalized and detailed narration up to the single variable field. Our interactive microsite service combines the flexibility and interactivity of a web page with the ability to engage personalized content, maximizing conversion rates and providing your customers with rich and personalized information based on their tastes and needs.